Art Sculpting To Fire Your Vision. Brilliant Ideas. Brilliant Results. 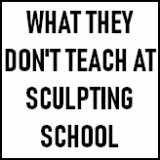 There are many things that stop people from doing the art sculpting they have been longing to have a go at for so long. This process is an art form of its own. It's called PROCRASTINATION! This page is all about showing what you can achieve in clay art with just a bit of know-how. The possibilities are endless. It doesn't have to Rodin. 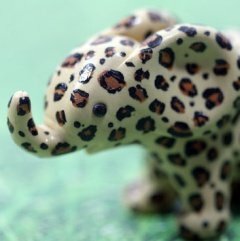 It can be funky and fun like the little elephant with leopard print shown above. My first sculpts were flower fairies in Sculpey. Just had to be done! Below is a range of different ideas for your art sculpting that you can use with the methods shown on this website (see the 'How To Sculpt' section). 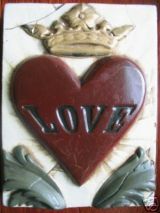 Clay art doesn't have to be figurative to be beautiful, it can be abstract or impressionistic - post-modern or preppy. It is totally realistic with the information given on this website for an absolute beginner to sculpt a piece, fire it at their local pottery supplier and have it selling on Ebay or elsewhere within a short space of time. 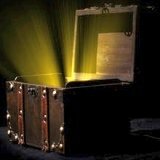 It is within your grasp - you make the time, I have given you the methods (free, no charge, gratis). I always think, love 'em or hate 'em, the thing that differentiates artists from the rest of the populous is that they are the people who actually did something about it, rather than just talk about it. Even if you detest with all your heart the modern generation of weird Installation Artists, the people behind this type of work are doers. If you don't believe me, go catch your own shark and try to put it into a clear vat of formaldehyde, then suspend it from an art gallery ceiling! Then try to persuade the art critics it's actually art. Hmmm, I can think of simpler jobs. This elegant and simple piece is fired to bisque and then a metallic glaze added and fired again. The clay modeling material is inexpensive and easily accessible at your local Pottery Supplier or online. Follow the tutorials and tips on this website to get you started and befriend your local potter or pottery store, who will be glad to fire your work for a small fee. 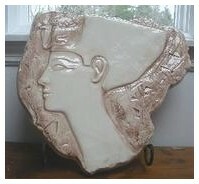 This Egyptian stoneware glazed wall plaque is technically very simple to make and fire - also very effective and decorative. There is a certain amount of skill needed in the artwork and tool use, but hopefully, the tutotials on this website will give you the basics. 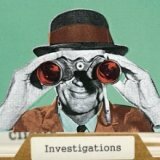 Use the information on this website to achieve your goal. If you need more info, just hit the contact button and tell me what. Shown here is the wonderful work of ceramic artist Sid Dickens. 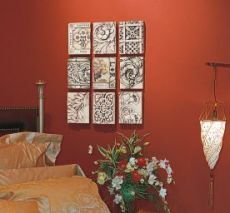 These wall sculptures have become known to collectors as 'Memory Blocks'. I find them a truly inspirational way to use ceramic sculpture techniques. I am sure looking at them will inspire you too. Go where your imagination takes you. You can do anything you want to - there are no rules - as Sid shows. Each sculpt has an accompanying poem. Below are some more art sculpting ideas which I particularly like. The only limit is your imagination. 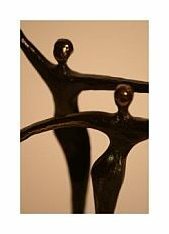 Flowing and simple contemporary shapes make a modern statement and are easy to structure and sculpt. 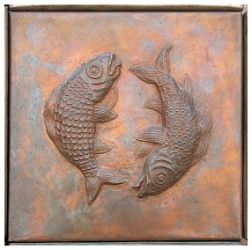 A fish wall tile makes a very decorative art piece. Bas relief tiles on any subject matter are a good place to start learning sculpture techniques. 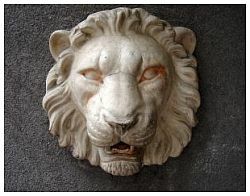 A lion head sculpture is a good place to start. Some students of mine have tried to be over ambitious and sculpt a whole lion as their first attempt at sculpture. This is too much - unless you are very determined, or will dedicate as much time as it takes. Don't try too much on your first piece otherwise you might just give up frustrated. A lions head for the garden is a good start. Tip: DO NOT RUSH and don't expect to achieve anything too quickly. A copy of a Greek torso is a great exercise to get the feel of the clay and human proportions. It looks good the more distressed the finish - so you can experiment and have a nice series of classy ornaments for your home (or the local gift shop). 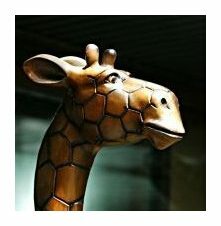 You can go modern and arty and do some whimsical studies of animals like this giraffe. Start by just doing the head - don't attempt the whole body to start with. Play around, do some studies, fire them, do some more. 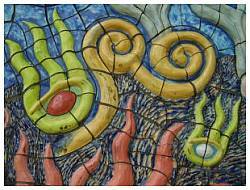 Mosaics make very effective sculptures and lend themselves to any subject matter that takes your fancy. 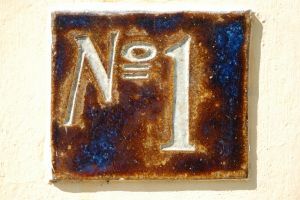 Make yourself a house number sign. The secret of the frost/weather proofing is to get it fired at a higher temperature. The higher the firing the harder the piece.